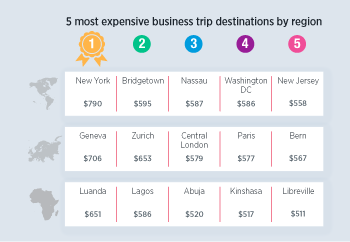 A typical business trip in Washington DC costs 8% more than in Los Angeles and 26% less than in New York. 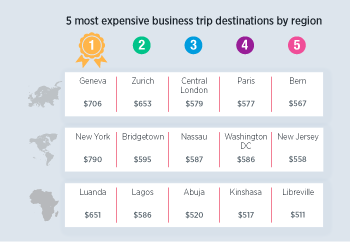 A typical business trip in London costs 32% more than in Brussels and 18% less than in Geneva. 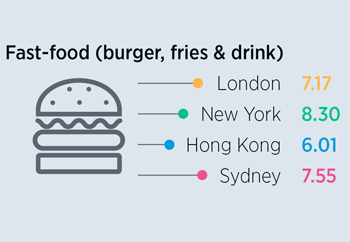 Hong Kong falls from regional top spot last year to second place. Average cost of a business trip to Singapore is eight per cent cheaper than in Hong Kong. 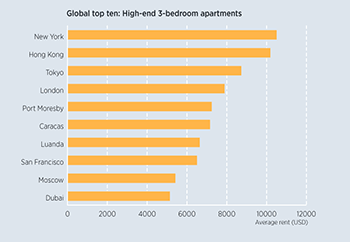 New York is the most expensive location in the Americas and the world for high-end rental accommodation. 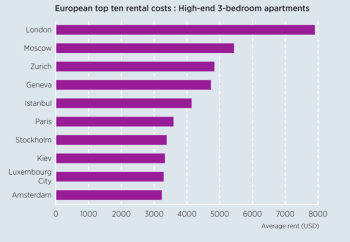 London is the fourth most expensive in the world despite Brexit. Rents fall in Singapore - now seventh most expensive in Asia. 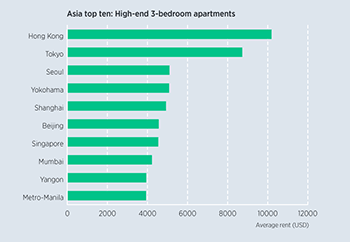 Hong Kong remains the most expensive location in Asia for high-end rental accommodation. UK cities fall dramatically in global rankings - Central London drops 57 places and out of top 100. 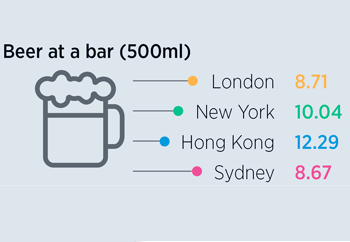 Manhattan drops nine places to fall out of global top 20 most expensive locations.